Expedia has some great Nea Peramos packages ready and waiting. Combining your airfares and accommodations is one of the most straightforward ways to save money on your trip. Secure a travel package on Expedia and save up to C$590*. You can choose from more than 400 partner airlines and 321,000 worldwide properties via our enormous database of flights and lodgings. Fly with who you want, stay where you like — now that's the ideal vacation! You can delay your vacation reservations with us because we don't charge cancellation fees for almost all of our reservations. Preparing to go on your Nea Peramos vacation? Don't know what sorts of things to include in your travel schedule? Don't worry — we'll give you some hints. Eager to delve into the everyday stories of human history? Get an expert insight into the peoples of yesteryear at Archeological Museum of Kavala. There's a fabulous range of things to keep you busy nearby. Live theater can challenge our world views and asks us to aspire to bigger things. Get tickets to a show at Ancient Theater of Philippi and open your mind to another way of thinking. Still have time on your hands? There's an excellent assortment of archaeological items housed at Philippi Archaeological Museum. It's guaranteed to be an educational and fun experience for the entire family! Haven't booked somewhere to lay your head yet? Nea Peramos has just 2 options, and the very best packages for luxury getaways and cheap vacations disappear quickly. 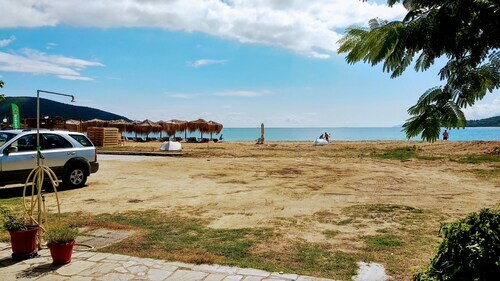 The Lucy Hotel (Kalamitsa Beach Makedonia) and the Bomo Club Tosca Beach (Leoforos Paliou 1) are popular with vacationers. Alexander the Great International Airport (KVA) can be found 17 miles (27 km) east of the central area of Nea Peramos. Grab your bags, call for a cab and get this vacation started! Situated by the sea, this hotel is 2.5 mi (3.9 km) from Ammolofoi Beach and within 16 mi (25 km) of Municipal Museum and The Castle of Kavala. Archeological Museum of Kavala and Philippi Archaeological Museum are also within 20 mi (32 km). Situated on the waterfront, this property is 1.5 mi (2.4 km) from Ammolofoi Beach and within 12 mi (20 km) of Municipal Museum and The Castle of Kavala. Archeological Museum of Kavala and Philippi Archaeological Museum are also within 20 mi (32 km). 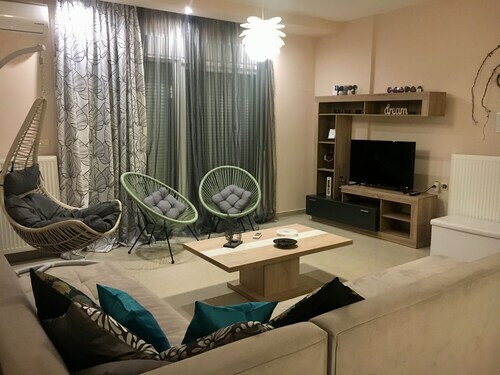 Situated in Nea Peramos, this condo building is 1.9 mi (3 km) from Ammolofoi Beach and within 12 mi (20 km) of Municipal Museum and The Castle of Kavala. Archeological Museum of Kavala and Philippi Archaeological Museum are also within 20 mi (32 km). 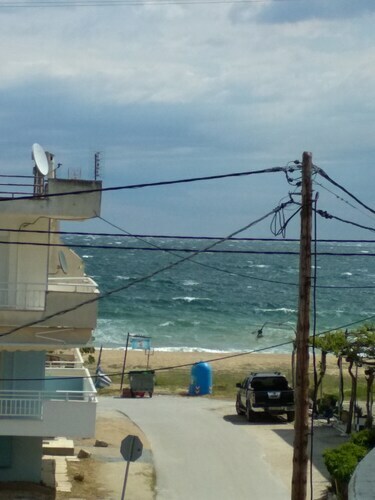 This Nea Peramos apartment building is on the beach, 1.5 mi (2.5 km) from Ammolofoi Beach, and within 12 mi (20 km) of Municipal Museum and The Castle of Kavala. Krinides Mud Baths and Archeological Museum of Kavala are also within 20 mi (32 km). 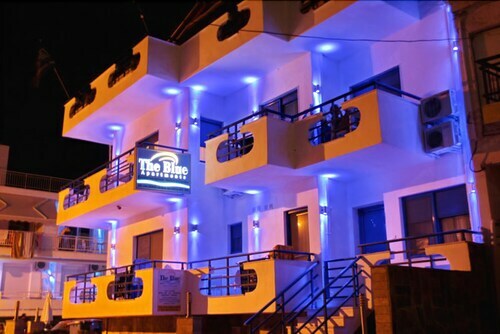 Situated near the beach in Nea Peramos, this apartment building is close to Ammolofoi Beach. Regional attractions also include Municipal Museum and The Castle of Kavala. 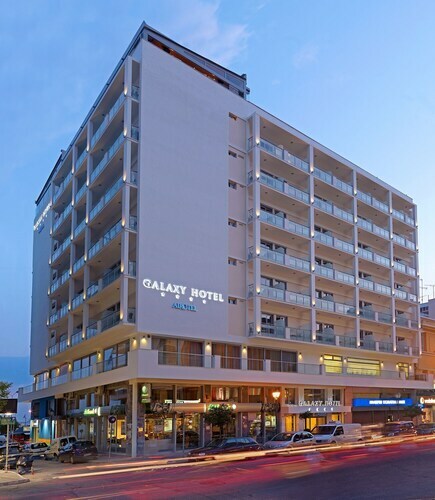 Located in the heart of Kavala, this eco-friendly hotel is within a 10-minute walk of The Castle of Kavala, Municipal Museum, and Archeological Museum of Kavala. Philippi Archaeological Museum and Philippi Archaeological Site are also within 12 mi (20 km). 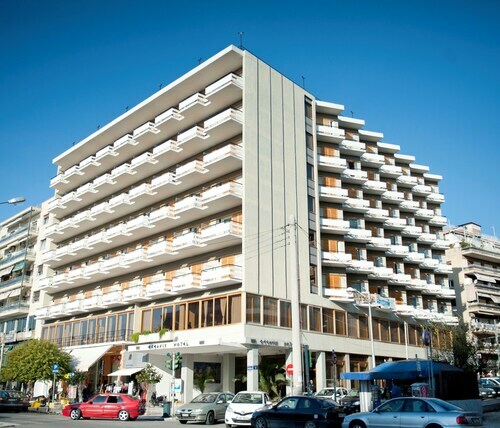 Situated in Kavala, this hotel is within a 10-minute walk of Municipal Museum and The Castle of Kavala. Archeological Museum of Kavala is 0.5 mi (0.8 km) away.